IAM RoadSmart has announced the launch of a new toolkit for legal professionals to help ensure they are providing the most appropriate advice to individuals facing alcohol-related driving offences. Drink-driving remains a serious and widespread issue, with more than 35,000 offences recorded across the nation in just the nine months to August last year. It is a problem that all road users need to be aware of, with those found guilty of such behaviour often required to take driver retraining courses. As such, this new guidance aims to ensure people who do commit this type of offence are given the support they need to ensure it does not happen again. IAM RoadSmart chief executive officer Sarah Sillars commented: "In the event that someone is charged with drink-driving, we believe targeted retraining courses should always be the first choice as a response. "Drink driving is a serious offence with dangerous consequences but many people don't understand the full risk. These courses should deal with the individual's relationship with alcohol – not just the offence itself." 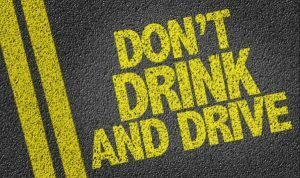 In cases where individuals have been convicted of drinking and driving, rehabilitation is essential to highlight to them the error of their ways and the serious risks they pose to themselves and others when driving while under the influence. "The key to what IAM RoadSmart offers is the word 'rehabilitation' – it's about setting an individual back on the right course to changing their life for the better, on and off the road," Ms Sillars concluded.